America’s finest silver is displayed in all its glory with the 1986 American Eagle Silver Dollar. Every year savvy buyers stash these away. Each is struck to stunning Proof condition in one ounce of 99.9% fine silver. No collection of Silver Eagle coins is complete without the 1986 Silver Eagle, the first Silver Eagle minted under the American Eagle Bullion Program. 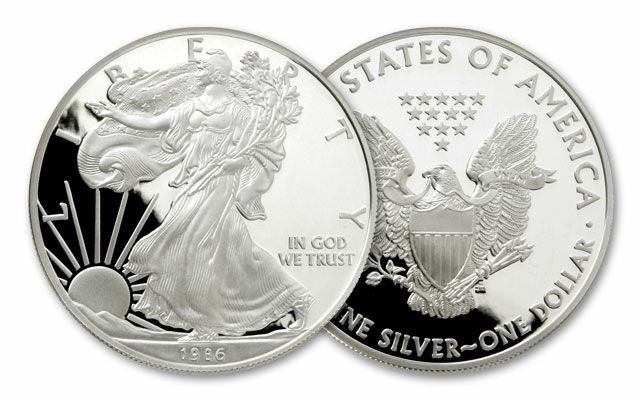 Silver Eagles were created in 1985 by an Act of Congress to give investors a safe, convenient way to add precious metals to their investment portfolios. 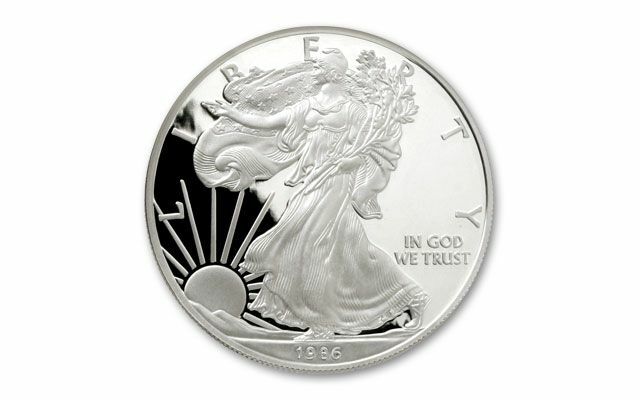 A generation later, the Silver Eagle coin remains popular. It's non-reportable, assuring security, portability and privacy. 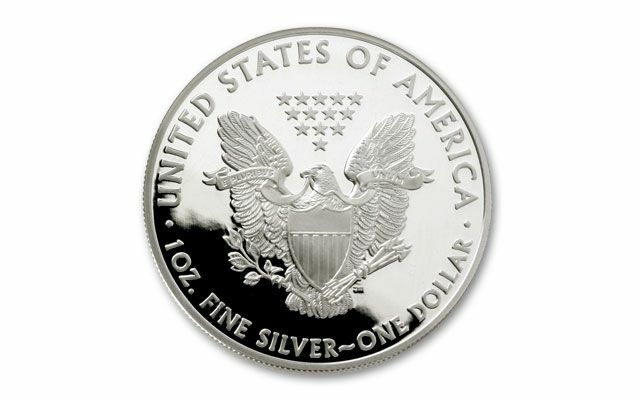 As the official silver bullion of the United States, the American Silver Eagle is guaranteed by the U.S. Government for content, purity and weight. The inaugural year for the Silver Eagle program saw a huge demand for the new coin, and even though the 1986 Silver Eagle bullion coin was on sale for only two months of the year, the U.S. Mint sold more than 5 million coins. If you're looking to invest in a Silver Eagle proof coin, check out the 1986 Proof Silver Eagle. At nearly 1.5 million coins, its mintage was the highest for any Silver Eagle proof to date, resulting in one of the best values in a Silver Eagle proof. The overall average price of silver during 1986 was $6.53 per ounce.